Traffic offences aren't something to be taken lightly. Some carry serious penalties such as gaol time or hefty fines. From speeding offences to drink driving charges, we provide you with advice, legal advocacy and support. Our traffic offence lawyers are highly qualified and experienced in providing you with assistance on varying traffic offences, including drink driving, licence appeals, speeding and disqualified driving. Our traffic offence lawyers can deal with any kind of traffic offence you may be dealing with, ensuring that our clients understand the process and achieve the best possible result. In all criminal matters, it is important that you consult with a criminal lawyer as soon as possible to ensure that you obtain the best possible result in your case, as timing can be a pivotal factor in avoiding further charges against you. Our experienced traffic offence lawyers understand the serious implications that a loss of licence can bring upon your livelihood and overall wellbeing, which is why we do everything possible to get you the best result, to avoid disqualification, to minimise fines and/or sentences. We will do our best in assisting you to avoid a conviction entirely. 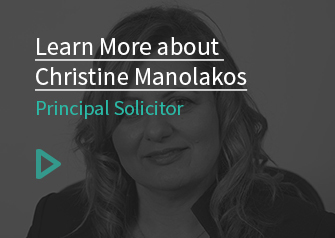 At CM Lawyers, our traffic offence solicitors will advise you on any potential penalties, as well as giving you an idea of what a realistic outcome of your case may be. To get the best resolution for your traffic offence case, you’ll need the most experienced and understanding lawyers for the job – that’s where CM Lawyers come in. Contact us today to get more information on how our solicitors can help you in your traffic offence and to book a consultation.